Remembrance Day is a memorial day celebrated by the Commonwealth of Nations. It is also sometimes informally known as Poppy Day. It is celebrated on the 11th hour, on the 11th day of the 11th month, in accordance with the armistice that was signed. The red poppy has become the floral symbol of Remembrance Day, relating to the poem “In Flanders Fields”. Slowly, the tradition of poppies caught on, with people swearing to wear them as a symbol of their respect. At first, real poppies were worn. 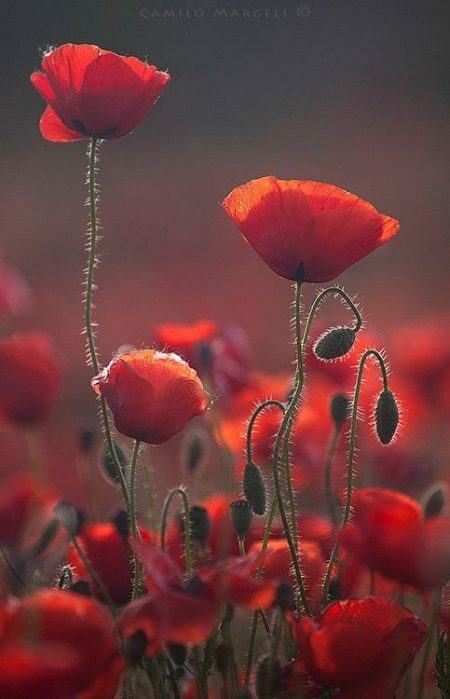 These poppies bloomed in some of the fields of Flanders during World War 1, their brilliant red colour was a symbol of the blood that was spilled in these battlefields. In Australia in 1997, Governor-General Sir William Deane formally declared Remembrance Day as a day to observe one minute’s silence at 11:00am to remember all those who have died and suffered for us in all wars and armed conflicts. There aren’t many flowers that play as important a role in religion, mythology, politics and medicine as a poppy. A red poppy is a symbol of death, remembrance and consolation in the West and it symbolizes love and success in the East. A white poppy is linked to funerals, memorials and peaceful rest. Pink, purple and blue poppies are associated with imagination, luxury and success. Wear a red poppy and remember them this November 11th; lest we forget.